The origin of nuclear medicine started with the invention of the cyclotron by Ernest Orlando Lawrence (1901-1958). Ernest Lawrence began working at University of California in Berkeley in 1928 as a nuclear physicist. His research centred on the bombarding atoms at high speed in order to produce new particles. To achieve the high energies needed for the bombardment accelerators were used but the electric potential required was so large (~1 million volts) that is was almost impossible to create a machine that could withstand that magnitude of power. Ernest Lawrence came across a German paper showing that the energy of a particle could be increased by oscillating electric fields. However, this still did not achieve a high enough speed and the accelerator would have to be extremely long. Lawrence realised that the idea could be improved on by using a magnetic field to bend the particle beam and force it to become a spiral. Then each time a circle was completed around the electrode the particle energy would be increased. 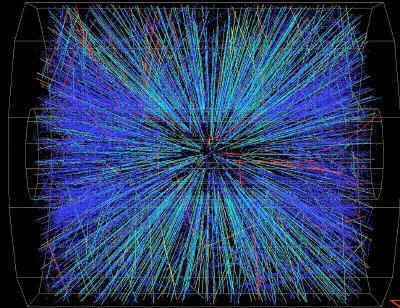 This would continue until finally a particle had enough energy to spiral out and with great speed and into a collector. 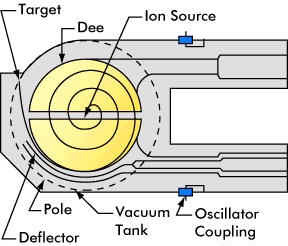 Alternatively, the target could be placed in the beam path of the outermost circle near a detector. 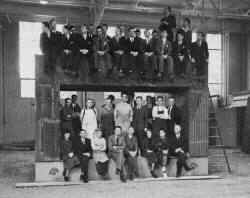 In 1930, Ernest Lawrence built the first cyclotron which was only 4 inches in diameter. It involved 2 D-shaped magnets, which created a circular magnetic field, with a small gap between them. The alternating electric field accelerated the particles and causing the radius of the circular path to increase until it hit the target. Lawrence went on to improve it by using larger electromagnets until he reached potentials of 1 million electron volts and above and whose sizes demanded a whole building to house the machine.